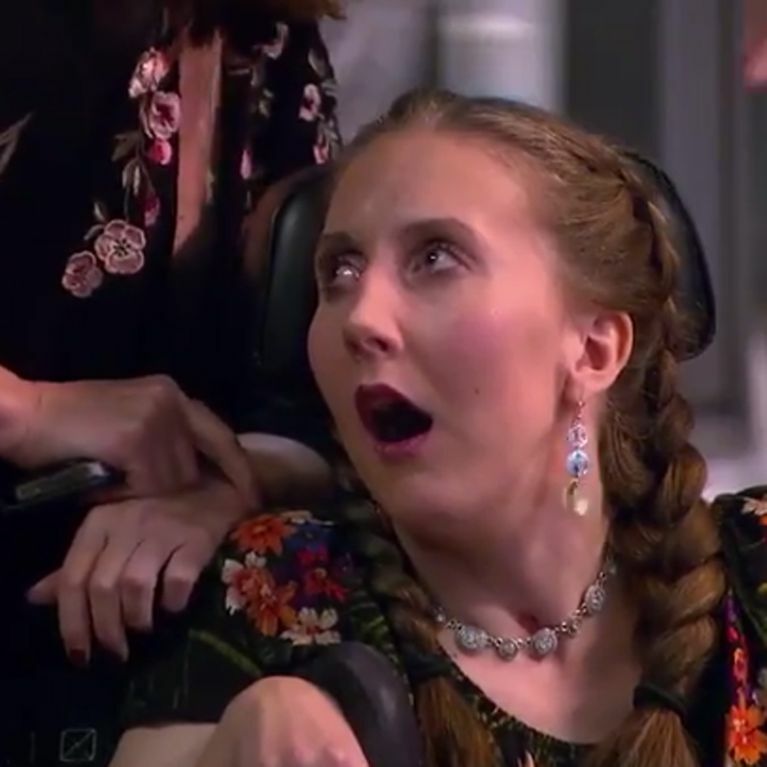 This Morning viewers and presenters alike were left moved by Monday morning's episode which featured an emotional reunion with the show's former producer Amy Shead who's been left permanently brain damaged and paralysed due to suffering a severe allergic reaction in 2014. This Morning viewers are heaping praise on the popular daytime show and its summer presenters Eamonn Holmes and Ruth Langsford after Monday's episode showed them being reunited with one of its former producers. In heartbreaking scenes, Eamonn and Ruth shared an emotional reunion with Amy Shead who was tragically left permanently brain damaged, paralysed and unable to talk after suffering a severe allergic reaction while eating out on holiday in Budapest in 2014. Amy appeared on the show she used to work on with her parents Sue and Roger who divulged details of the tragic incident, revealing she'd eaten just a mouthful of a chicken dish, which the restaurant assured her contained no trace of nuts, which caused her to go into major anaphylactic shock and die for six minutes. Amy - who has had a severe nut allergy her whole life - had informed the restaurant of her medical condition in Hungarian to ensure there was no risk of her reacting to the food. Two EpiPens were administered but they weren't strong enough to counter the severe allergic reaction Amy was having. When she was revived after six minutes, she was placed on life support in a Budapest hospital where she was in a coma. Amy was confined to a hospital bed for 20 months and is now stable but unable to talk or walk due to being starved of oxygen for six minutes during the allergic reaction. As Sue and Roger recalled the details of her daughter's life-changing battle, Ruth comforted Amy by holding her hand, looking visibly upset. Viewers were quick to praise Amy and her family as well as the show for raising awareness of the severity of allergies. Well done #thismorning for spreading awareness on how severe allergic reactions can be. My heart is breaking for Amy May and her parents. I love the way @RuthieeL address Amy, by including her in the conversation! #Amazing #Respectful I have so much respect for that gesture. Amy's parents have since set up the Amy May Trust to help fund the ongoing rehabilitation of their 29-year-old daughter. They're also campaigning to ban the sale of nuts on flights.